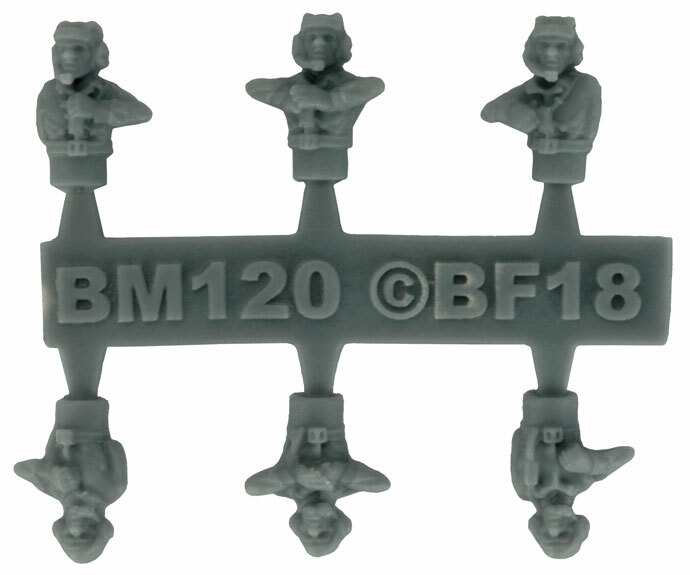 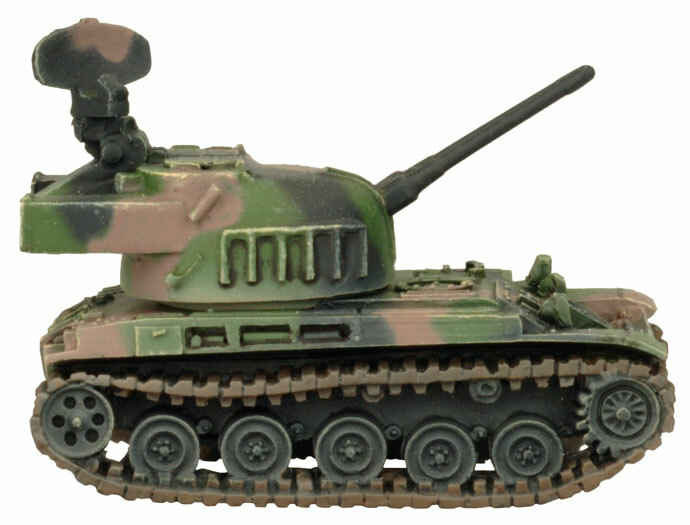 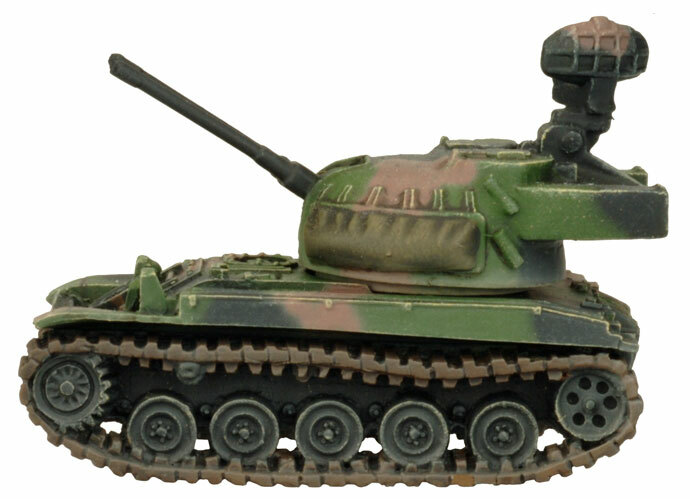 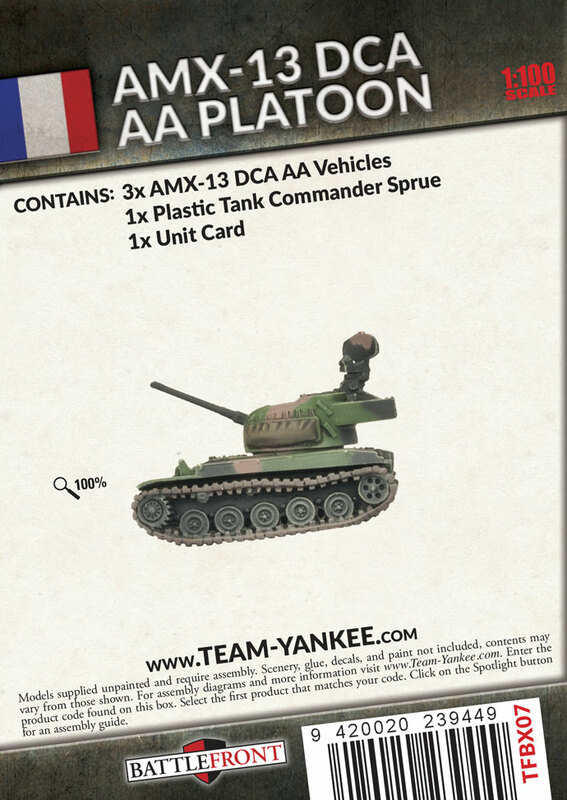 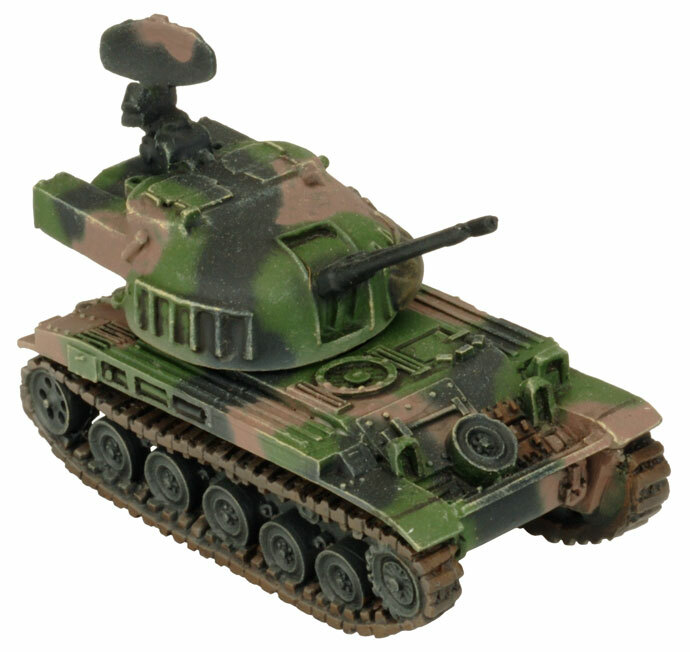 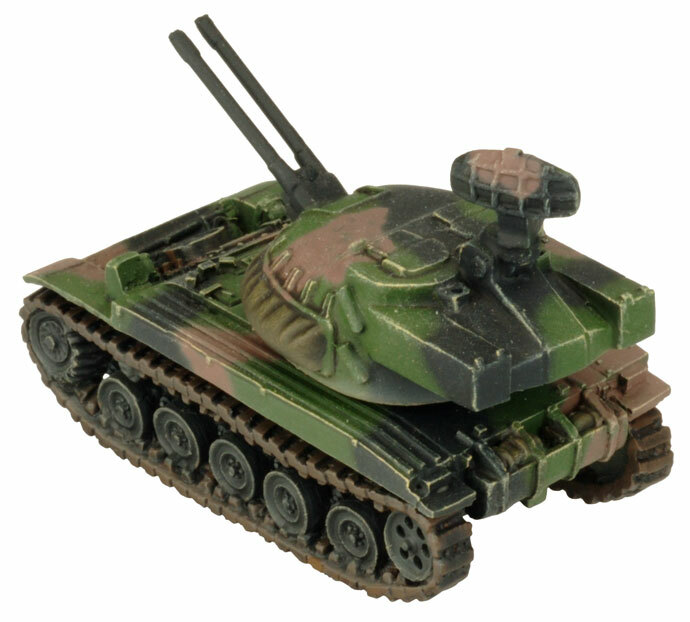 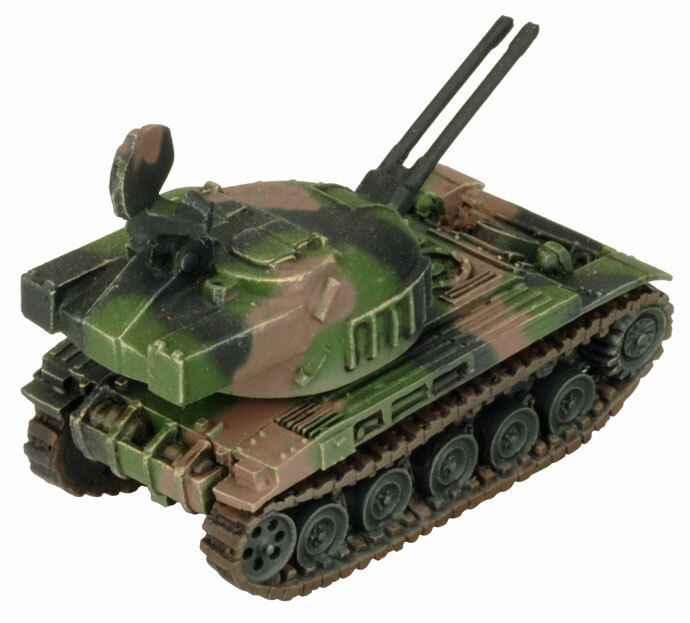 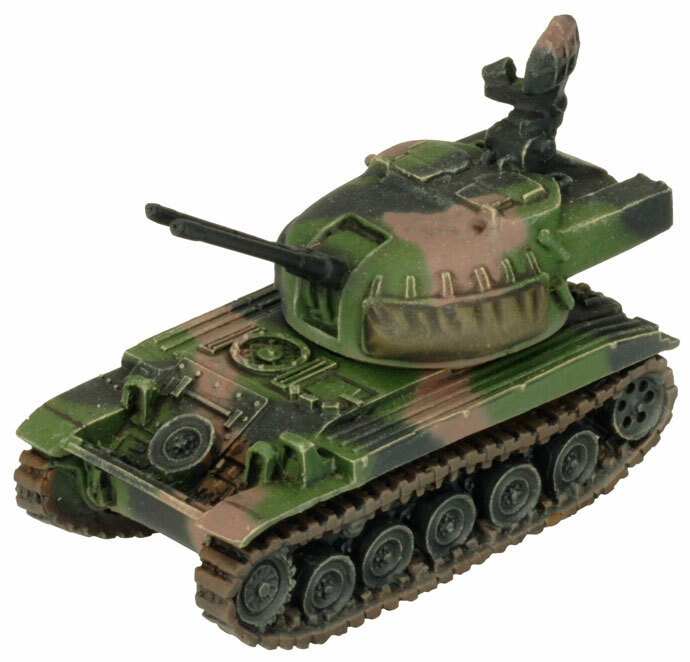 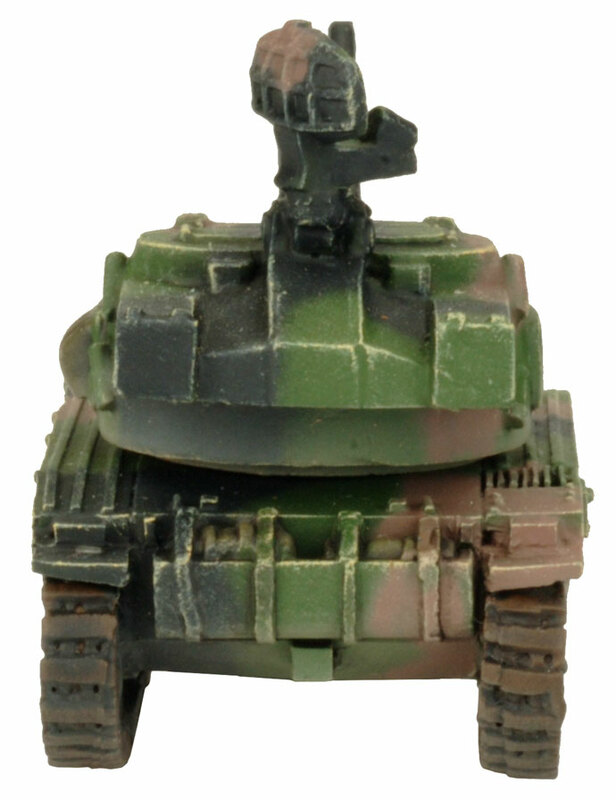 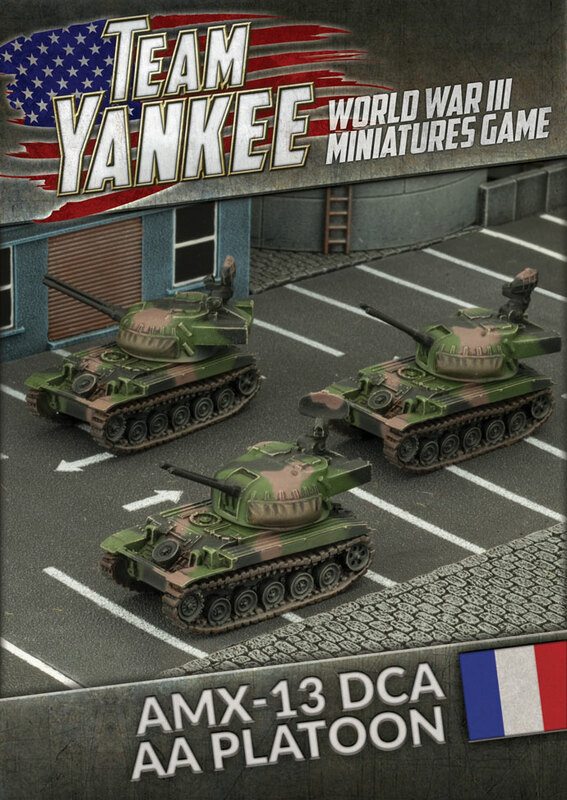 Includes three AMX-13 DCA AA Vehicles, one Decal sheet, and one Unit card. 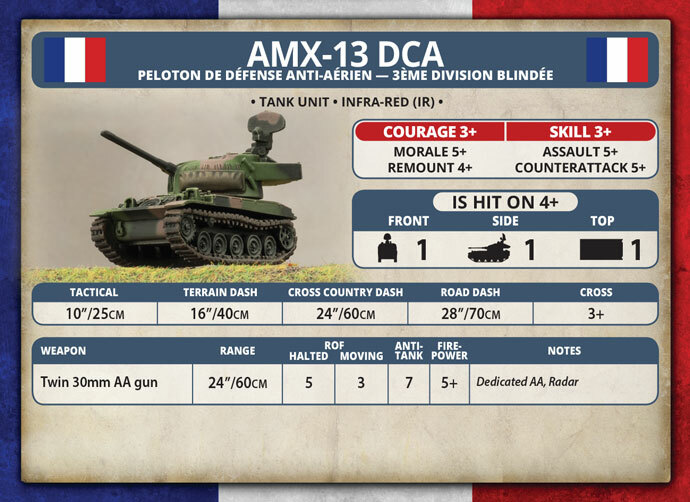 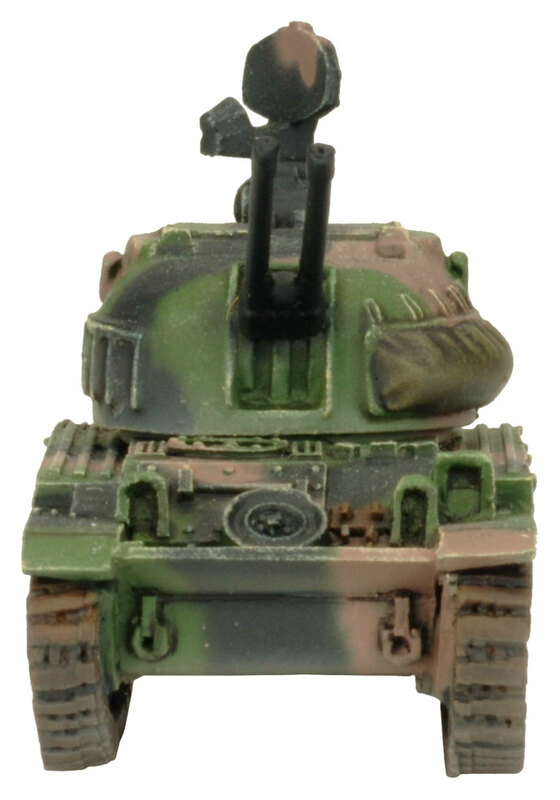 The AMX-13 DCA (Défense Contre les Avions, Anti-aircraft Defence) was developed in the late 1960s to provide forward air defence for the tank regiments. 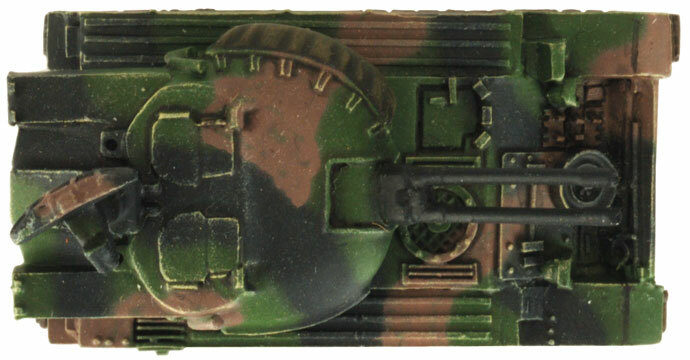 It is armed with two 30mm HS-831A autocannon mounted side by side at the front of the large two man turret. 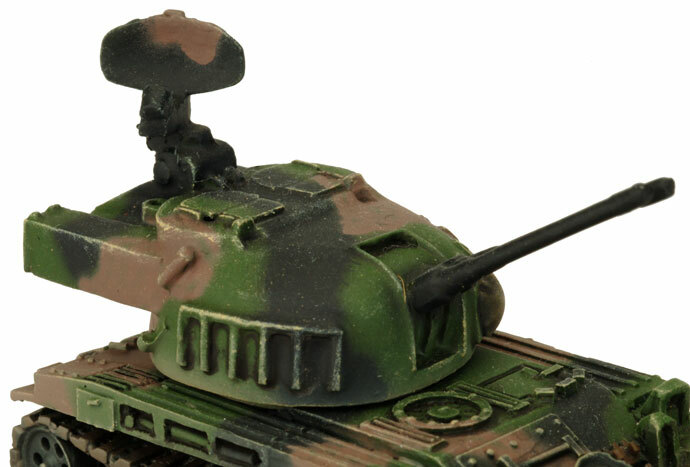 The AMX-13 DCA turret is fitted with a search and tracking radar that can detect aircraft and helicopters and neutralise them.